When you need an air conditioner company in Lyons, CO that is affordable and reliable, contact our HVAC company today! Our company wants to make sure that this region has the very best air conditioning, which is why we have been working with the residents for several years. Our HVAC company doesn’t just provide AC services, we even offer our clients heater services. Call our contractors now at (720) 276-1403 in order to set up an appointment for HVAC services. 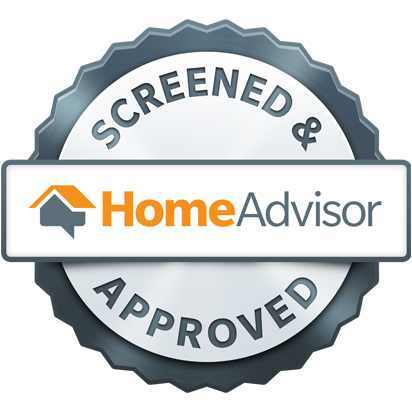 We look forward to working with you and ensuring your AC is performing the best that it can. Air Conditioner Replacement and Installation Contact our contractors when you are in need of air conditioning replacement or installation service. Air Conditioning Maintenance To get regular maintenance for your air conditioner, just contact our technicians. Air Duct Sealing, Repair & Installation Our ductwork services include repair, installation, and sealing services. Central Air Conditioning Repair Do you want repairs for your central air conditioner system? Contact our licensed HVAC contractors now. Emergency Air Conditioner Repair When you need our help with an air conditioner problem that is unable to wait, call our company to receive emergency AC repair! Getting superior repair service for your heater is critical if it isn’t functioning very effectively in the cold winter months. Green Tech Heating & Cooling can help customers who really need professional repairs for their heating. It doesn’t matter what kind of heater you own, our HVAC technicians have the skills and experience to repair any type of heating unit. If heating repairs just won’t get your heater back to how it was, we will recommend that you get a heating system replacement. Reach out to our heating and air conditioner company in Lyons, CO at (720) 276-1403 if you need heater services! Boiler Repair & Replacement To obtain skillful repairs or a replacement for your boiler, look to our HVAC technicians. Central Heating Repair Get central heating repair service by calling our contractors to set up an appointment. Electric Furnace Repair & Replacement Own an electric furnace that needs repair service or a replacement? Connect with our HVAC contractors today! Electric Heat System Repair Get the very best electric heating unit repairs by contacting our team today! Gas Furnace Repair and Replacement Get in touch with our HVAC company when you should need repairs or a replacement for your gas furnace. Heating Maintenance If you are wanting to increase the lifespan of your heating system or need to ensure its in good shape, contact our contractors for heating upkeep now. On top of offering heating and cooling services to people who own homes, we also offer heating and air conditioning services for commercial property owners. No matter if you need repairs for your air conditioner or heating system, Green Tech Heating & Cooling is the heating and air conditioner company in Lyons, CO to rely on for professional commercial HVAC services. Your business is important to us, so whenever you are having problems with your commercial AC or heating system, you are able to call our HVAC contractors at (720) 276-1403 to make an appointment. Commercial Air Conditioner Repair Our commercial heating and cooling technicians can supply you with knowledgeable air conditioning services. Commercial Boiler Repair We are the commercial HVAC technicians to contact if you want expert boiler repair services. Commercial Boiler, AC & Furnace Service We don’t just offer repairs for your boiler, furnace, and AC, we can even clean and offer upkeep. 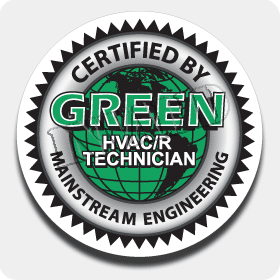 Commercial Furnace Repair At Green Tech Heating & Cooling, our technicians are able to provide exceptional commercial furnace repair service, so contact us now! Commercial Rooftop HVAC Repair Have your commercial rooftop heating or cooling unit repaired immediately when you call us! Each of the heating and air conditioning parts in your heating system or air conditioner involves them all to operate in unison in order to get cooling or heating. When you have no upkeep done to your heating or cooling system or there was inadequate installation, this can lead to components malfunctioning. At our HVAC company our contractors will either repair the component or we are able to completely replace it if it’s defective. Contact our heating and air conditioner company in Lyons, CO at (720) 276-1403 to get heating and air conditioner parts replacement or repair service. AC & Heater Capacitors Replacement Have your air conditioner or heater capacitors replaced when you contact our heating and cooling technicians. HVAC Blower Repair & Replacement To get a whole heating or cooling blower replacement or repair, contact Green Tech Heating & Cooling. HVAC Circuit Board Replacement If our contractors find that the control board is defective and needs to be replaced, we will help you out. HVAC Relay Replacement If we see that the HVAC relay is broken, we will exchange it with newer and more improved relay. HVAC Thermostat Repair, Replace & Upgrade Whether you need thermostat repair, replacement, or want an upgrade, you can rely on us for thermostat services.